A walkable city provides the most affordable, sustainable and equitable transportation system any community can plan, design, build and maintain. Greater levels of walking can lead to more social interaction, greater physical fitness, diminished crime, less noise, less pollution and increased wellness. 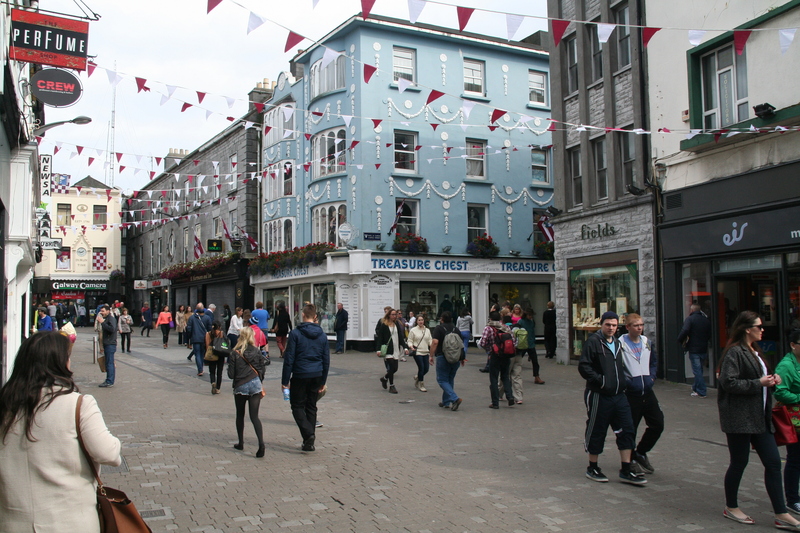 As can be seen in our medieval city centre and on the Salthill Promenade, pedestrian-friendly cities are more liveable, vibrant and more pleasant built environments for locals and visitors. – greater pedestrian access, connectivity and permeability. Greater numbers of people will opt to walk more if our city is planned and built so that it allows pedestrians reach important city facilities by walking 1km or less. Galway would be made safer for pedestrians and cyclists if the city’s remaining roundabouts were replaced with signalised (traffic lights) junctions and if traffic calming was increased in residential areas.